Educational change is inevitable and it’s all the rage (although some may argue with the second half of that sentence). A rapidly evolving and turbulent world, our growing understanding of the nature of learning and, in New Zealand, the need to change how our education system performs so that Māori students enjoy and achieve education success as Māori (Ka Hikitia – Accelerating Success 2013–2017); all mean that educational evolution is here to stay. The challenge with educational change these days seems to be the amount and sometimes exponential pace of it. This volume and speed creates a need to look past previous iterative approaches to improving teaching and learning, and instead, become transformational as we strive to evolve our own practice in both a rapid, and meaningful way. However, effectively managing transformational change is a change in itself. Transformation calls for innovation, risk-taking and creativity; and engaging in mahi where the outcomes may be unknown. Without resources, time and support, this form of change can feel overwhelming, laborious and like it’s ‘on top of’ an already saturated workload. In a previous post I co-authored with my colleague, Rachel Westaway, we suggested that school leaders explore Agile values and principles to support transformation and innovation in schools. 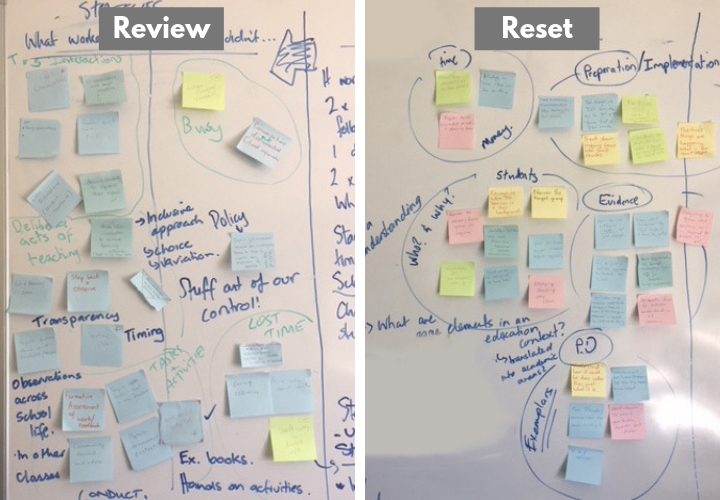 In this post, I will delve deeper into an agile tool called ‘sprints’ that supports teams to work through transformational change; hopefully experience some creative freedom; and provides a framework and process that promotes embracing uncertainty while minimising risk. This way, managing change and innovation should not be overwhelming and may actually be enjoyable. The concept of sprints originated in the IT/project management world where they are one of the key components of the scrum framework, supporting people to work collaboratively to address complex problems and unpredictability. 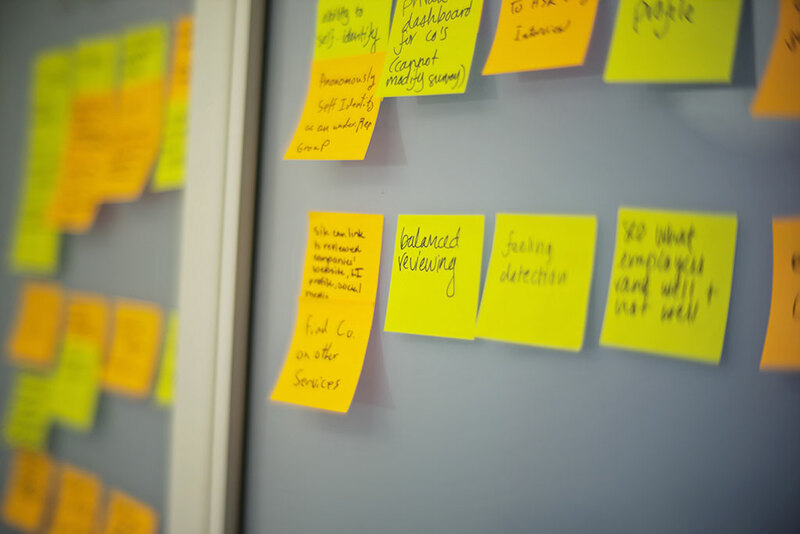 Scrum is founded on agile principles, with an emphasis on creating value, and making progress through regular reflection, adaptation and teamwork. Sprints enable teams to work collaboratively to tackle large problems or significant change by breaking down the work into small, time-boxed, increments (a.k.a sprints) and focusing on what is most important. Using a sprint approach can break down and simplify what can seem to be an overwhelming, long-term challenge, into smaller manageable parts. a. Define: What student learning outcome do we want to focus our practice improvement on? For which students? What evidence justifies this decision? b. Design: What small, specific actions can we take in our classrooms to improve student learning? c. Assess: What evidence of student learning will we collect? a. 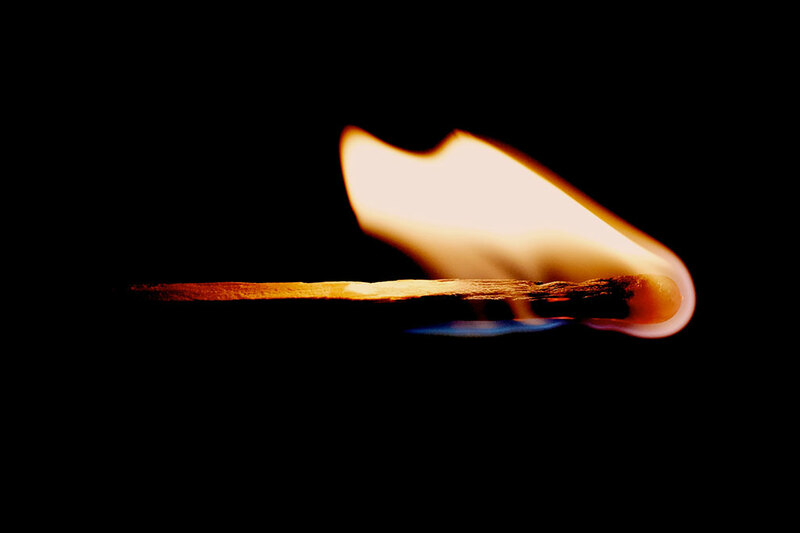 Teach: In what ways are we deliberately improving our teaching practices? b. 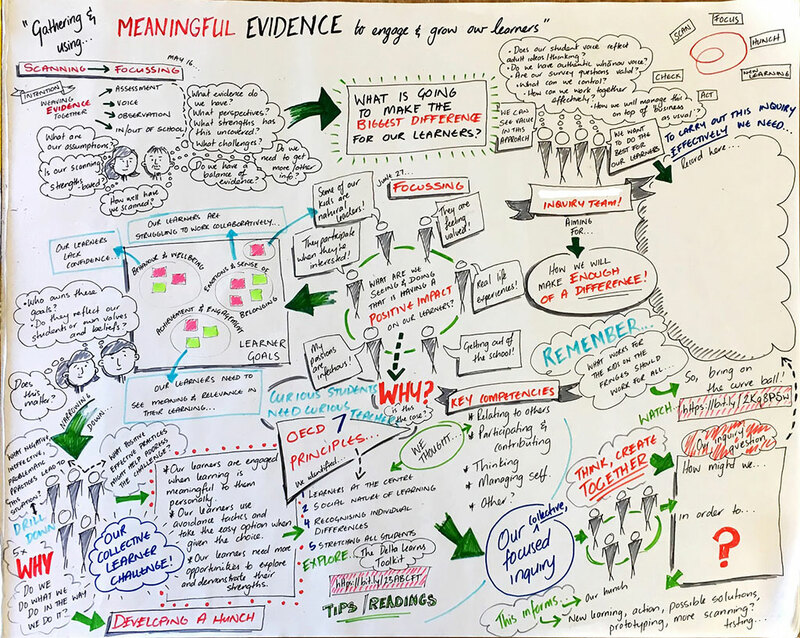 Monitor: How are we collecting evidence of student learning? What is it telling us? c. Support: How are we harnessing peer and expert feedback? a. Analyse: What progress did students make and how did our actions contribute to this? b. Transfer: How can we transfer what we’ve learned into future practice and ways of working together? c. Reset: What professional learning could we engage in next, in order to help us maximise our impact on student learning? The sprint process is strongly underpinned by evidence-based practice and therefore aligns closely with the Spiral of inquiry. Used as an approach within a longer-term inquiry, sprints can provide an opportunity to evaluate the impact of our actions over many cycles within the wider inquiry space. Not only does this allow new learning to become embedded in the way we work but the speed (velocity in ‘scrum speak’) at which the team can move and adapt is accelerated. However, before contemplating the use of sprints within an inquiry, it is important to discover and define what is going on with our learners. The scanning and focusing phases of a teaching inquiry will support us to create collective learner statements about targeted students in a particular educational community. We can then explore how these challenges relate to the nature of learning (OECD 7 principles of learning) and the Key Competencies in the New Zealand Curriculum (NZC). The NZCER Remixing the Key Competencies: A curriculum design deck is useful for this. In developing a hunch we look at our own practices attached to any challenge/s. The challenge for us therefore is to design learning activities that are more meaningful for students with a diverse range of cultural backgrounds, interests and learning needs. (The creation of User stories to support this thinking is another useful agile approach but this will need to wait for another blog). So, what do we need to learn and how will we take action, and check that we are making enough of a difference for our students? Using sprints to manage, improve and innovate on practice in a collaborative, structured, iterative way; whilst collecting relevant evidence to measure the impact of our ideas and actions, helps us figure out what to learn and the necessary actions to take in an adaptive way. It helps us therefore to develop adaptive expertise–the ability to apply new knowledge ideas and skills flexibly and creatively. (Dumont, Istance and Benavides 2010, 3). This is the approach that Agile Schools has taken with a range of activities in their Learning Sprints toolkit. Amongst these in their Define phase is Boulder, Pebble, Sand. This activity allows us to break down our learner challenge into bite-sized chunks of practice that we can then review, transfer and adapt new learning and ideas before going into another sprint. It is important to note that, whilst I believe the outline of this activity is useful, I would lean more towards ‘doing with’ students and possibly whānau in identifying and developing learning outcomes. That is to say, if our challenge is to design learning activities that are more meaningful for students with a diverse range of cultural backgrounds, interests and learning needs, it would seem to be reasonable to co-design learning outcomes and activities with the students rather than for them. I also wonder if we should change the language from ‘learning outcome’ to ‘student-valued outcome’. This places more emphasis on designing a response to challenges or opportunities around the nature of learning and the key competencies in the NZC. It also supports the design and implementation of learning experiences that are more human-centred. The Guide to Universal Design for Learning (UDL) is useful for this. What learner progress did we see? This process leads to a collective, in-depth examination of practice that supports the transfer of new learning and consideration of next steps. As an aside, a useful consequence of implementing an ongoing sprint process is the development of a growing portfolio of robust evidence that reflects the Code of Professional Responsibility and Standards for the Teaching Profession (NZ Teaching Council). If a sprint approach to managing challenging change can help us to continuously measure, adapt and improve our practice, it would be great to consider how it could also be used with our students.